This is the skin-crawling moment a five-year-old girl has nine lice and 20 eggs picked out of her eyelashes after she told her parents she could feel ‘something slimy’. The horrific video, filmed in China, shows the little girl as she visits a hospital in Wuhan, Hubei province. 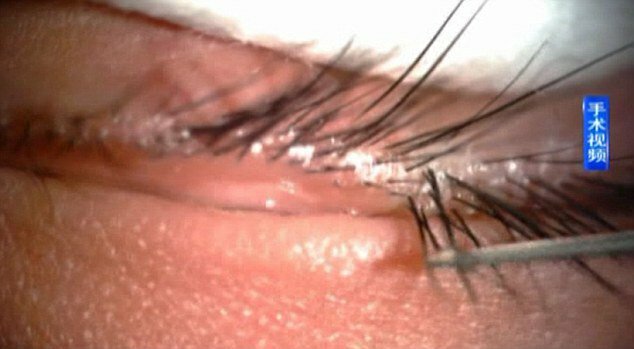 This is the skin-crawling moment a five-year-old girl has nine lice and 20 eggs picked out of her eyelashes after she told her parents she could feel ‘something slimy’. The horrific video, filmed in China, shows the little girl as she visits a hospital in Wuhan, Hubei province. According to local reports, the girl could feel ‘something slimy’ on her eyes even after she washed them carefully. 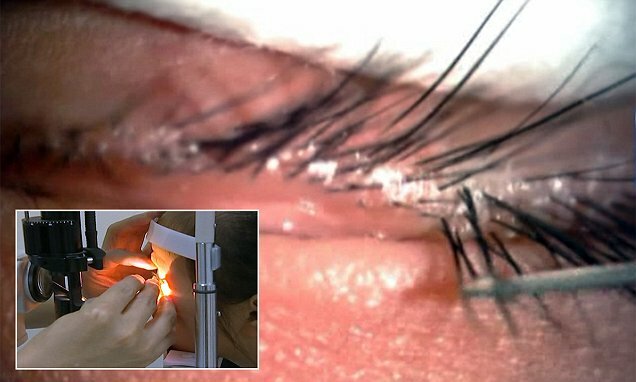 After being checked in hospital, the doctor found and removed nine lice and 20 eggs on her eyelashes.